Technologies like Home Automation Systems are still under considerations and have not been developed up to the level of ultimate maturity. 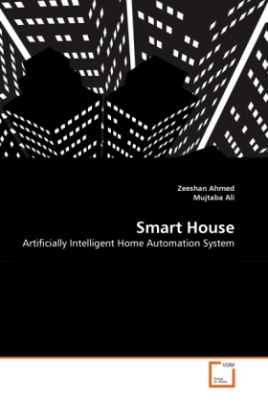 Targeting the challenges of the proposition of a home automation system capable of controlling house's electric appliances and providing efficient security system, a thorough research has been conducted in fields of System Automation, Hardware Engineering, Software Engineering, Human Machine Interaction, Mobile Programming, Produce Line Architectures, Software Testing and Data Management Systems. Taking help from reviewed research and using our personal research and development experiences, we have proposed an approach i.e. Smart House. This book discusses in detail the way to achieve the set goals of this research along with the detailed presentation of system requirements, proposed approach, hardware and software designs, implemented prototype, testing, deployment, usage, benefits and limitations. The presented research and development has been performed as the part of author's bachelor project submitted in Fall 2002 at Punjab Institute of Computer Science, Faculty of Information Technology, University of Central Punjab, Pakistan.